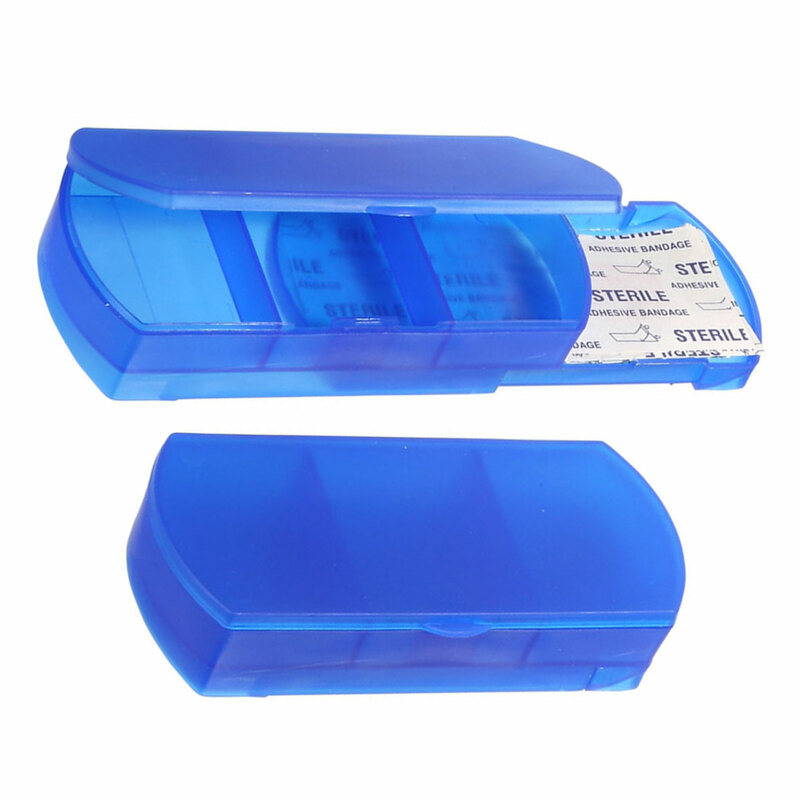 Three compartment pillbox with slide out drawer for bandages. Starter bandages included. Imprint Area: 3.25" x 1.25"